Igualada is the capital of Anoia region which is located in the center of Catalonia. Our city is an urban space but surrounded by forests and mountains. 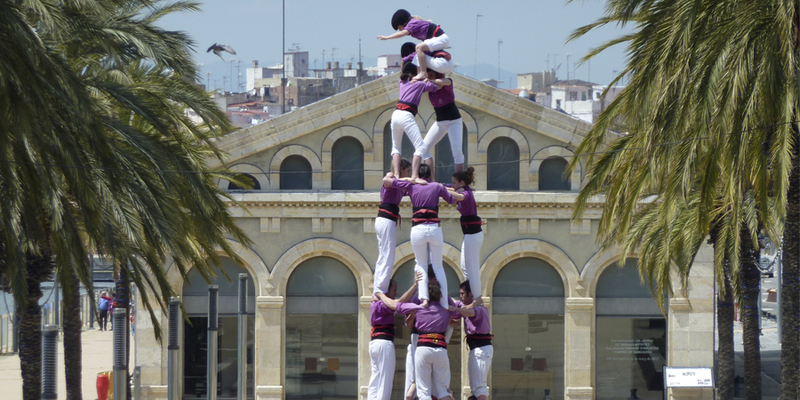 Igualada began its journey in February 2014. Nevertheless, the needs and improvement in the life quality of the population –and especially our elderly people– has been one of the priorities in our public policies. To become the city in one more comfortable for everyone adapting it to the elderly. To promote policies to stimulate a healthy, participative and safe city promoting the active ageing among the population throughout the life. All the municipal departments are involved directly or indirectly in this project either participating in the focus groups or developing specific actions. Nowadays at different departments of the city council there are specific projects for the aged and elderly associations. Primavera gran: a specific fair for the elderly. Radars: a project to prevent and detect the loneliness and isolation in elderly people. Support group for non professional caregivers. Menjem plegats: The cookery school offers meals in its dining room for isolated and/or without resources. At the Retirement homes Pare Vilaseca and Residència Igualada there are an arrangement with the city council with each one to offer places at less amount. Day-care centers Sant Josep and Sant Jordi also have an arrangement with the city council to offer places at less amount. Civil equipment: in Igualada we enjoy four centers to boost social and intergenerational interaction as well as they offer different healthy, intellectual and leisure activities. Barri de Fàtima: Old people from Fatima’s neighborhood. Dones de les tardes del dimecres: Women of different ages from Montserrat’s neighborhood. AUGA: University classrooms for old people in agreement with the Technical College of Catalonia. Associació de Gent Gran d’Igualada: Is the main senior association in Igualada. The collaborate with the City council to develop different projects, like Primavera Gran or Radars.